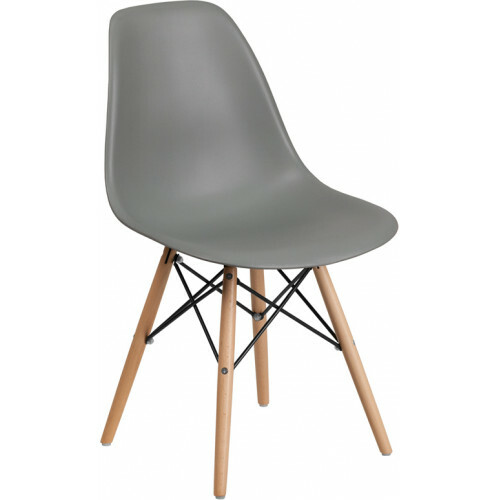 The Sophie Side Chair has a plastic finish and wood base to ensure maximum comfort without holding back on a stylish design. The waterfall seat reduces leg strain, and the contoured design provides added comfort and overall design. Staff was very friendly at Beverly Hills Chairs. Easily and efficiently helped me find the perfect style of chair I was looking for!